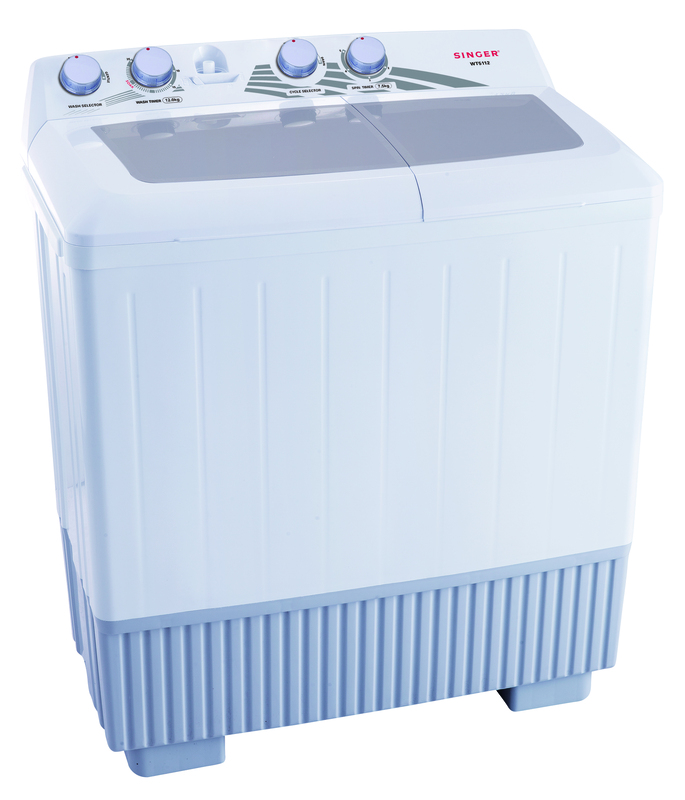 Semi-Automatic Washing Machine Model WT5110 10.0Kg. 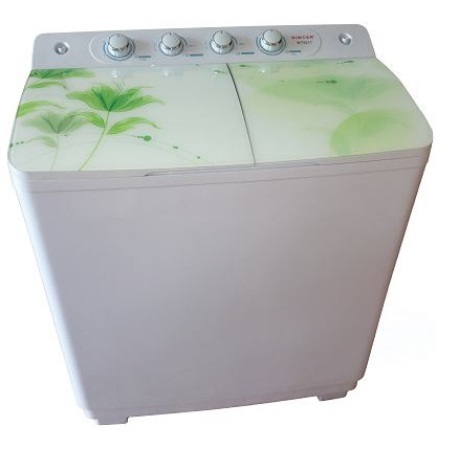 This machine comes with 20 Minutes Soak Function, Full Plastic Body and Anti Rat Design. 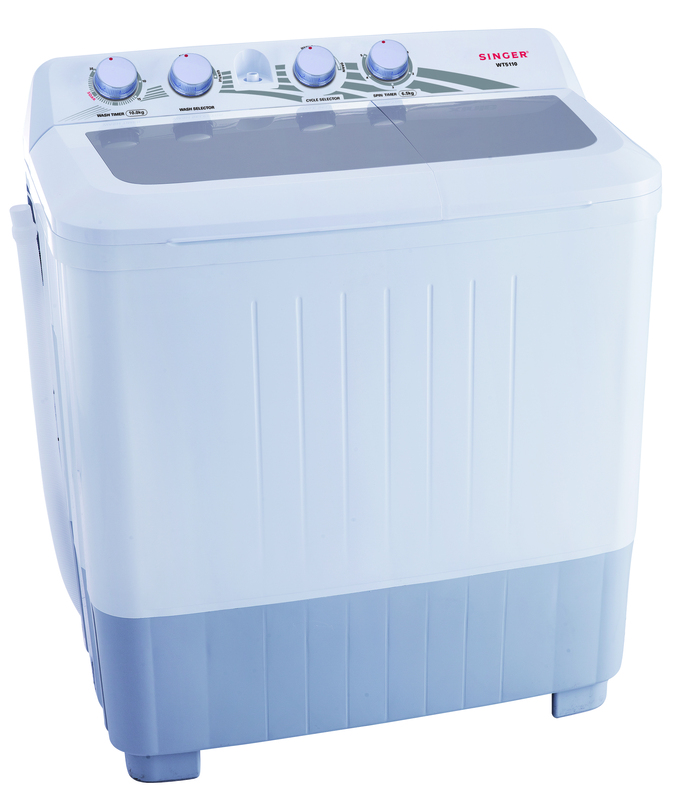 Comes with full plastic body, anti rat design, bigger pulsator and powerful motor to cater for heavier wash load and spin dry performance. 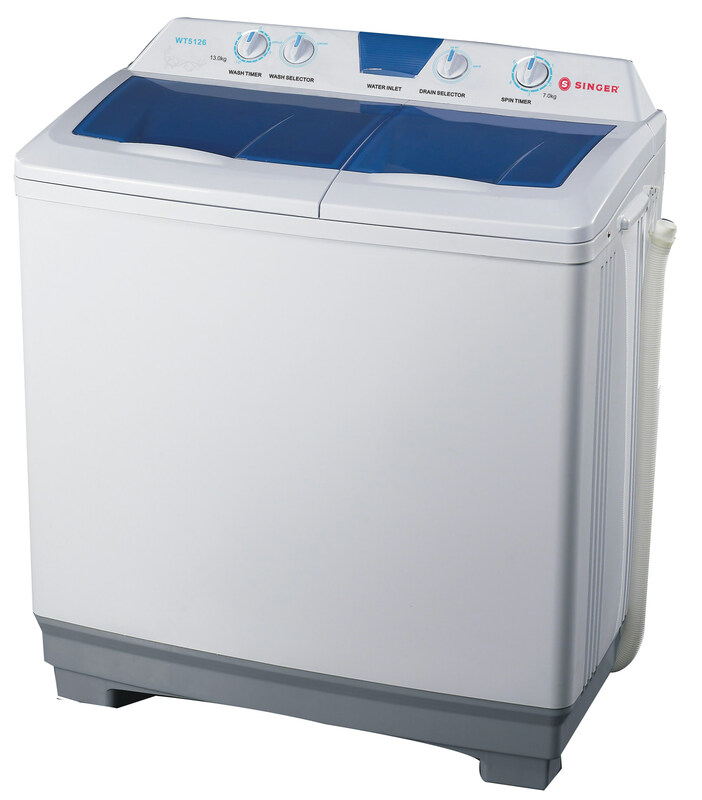 Semi-Automatic Washing Machine Model WT5112 12.0Kg. This machine comes with 20 Minutes Soak Function, Full Plastic Body and Anti Rat Design. 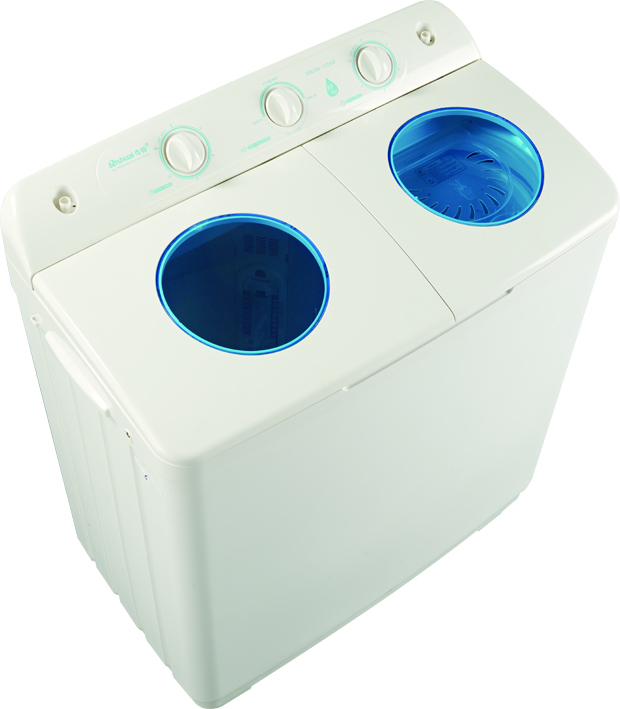 It's a basic model & most affordable 7.0kg semi-automatic washing machine. 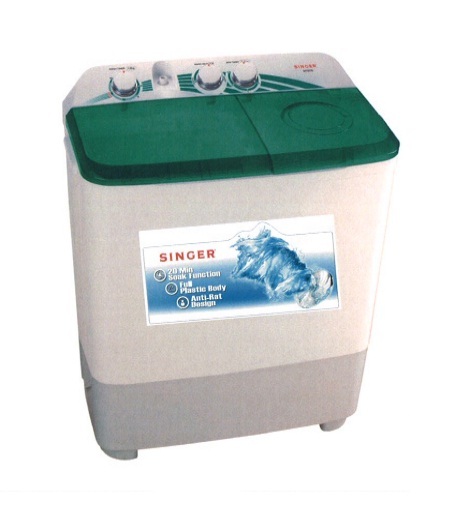 Experience the better quality washing with Singer 9.0Kg Semi-Automatic Washing Machine. 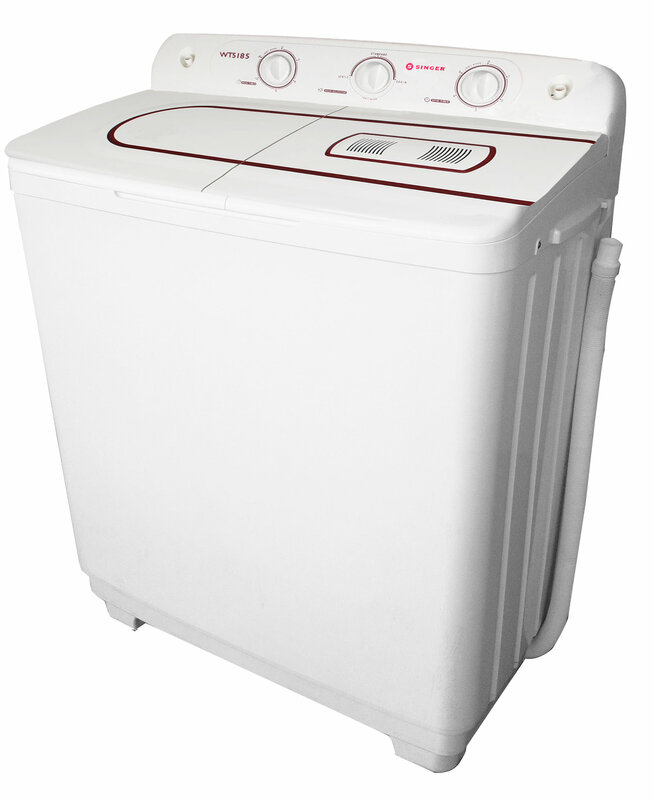 Featuring a durable plastic body that’s rust proof, while the lint filter removes lint built-up in the washing tub. 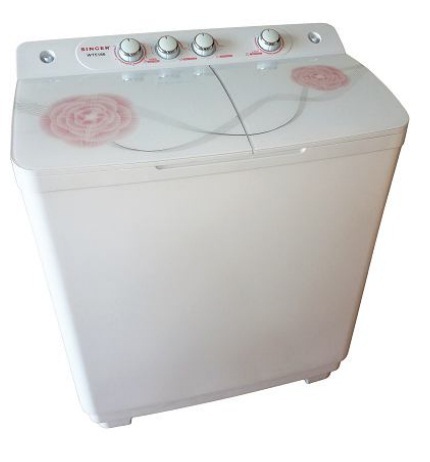 This machine comes with Separate Wash & Spin Water Inlet Ports, Full Plastic Body, Anti Rat Design and Tempered Glass Lid Cover with Flower Design.